1:1 "In the beginning was the Word, and the Word was with God, and the Word was God. 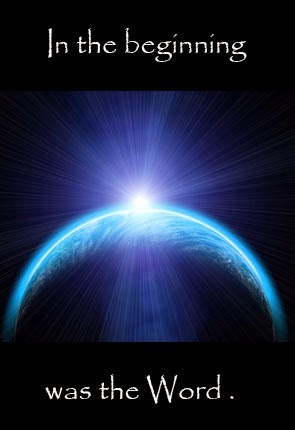 2 He was in the beginning with God.3 All things were made through Him, and without Him nothing was made that was made. 4 In Him was life, and the life was the light of men. 5 And the light shines in the darkness, and the darkness did not overcome it." 18:30 "As for God, His way is perfect; The word of the Lord is proven; He is a shield to all who trust in Him." Here the word of the LORD is a person instead of a thing. 33:6 "By the word of the Lord the heavens were made, and by the breath of his mouth all their host." Here the word of the LORD creates everything we know. 103:20 "Bless the Lord, you His angels, Who excel in strength, who do His commands, Heeding the voice of His word." The word of the Lord speaks. 107:20 "He sent out his word and healed them, and delivered them from their destruction." His word is sent to heal and deliver. 119:89 "Forever, O Lord, your word is firmly fixed in the heavens." His word is eternal, residing in the heavens. When Abraham is spoken to in vision the one who speaks to him is described as "the word of the LORD". 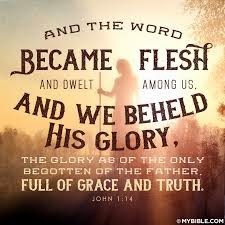 "The Word became flesh and dwelt (literally "pitched his tent" or "tabernacled") among us and we beheld His glory, the glory of the only begotten of the Father, full of grace and truth." In John 14, the night before His death, Jesus tells His 11 disciples that remain that He is leaving. Philip responds by essentially saying "You can't leave yet because you haven't shown us the Father". Jesus responds "Have I been so long with you and you have not known me Philip? He who has seen Me has seen the Father..."
John is boldly introducing the carpenter's son from Nazareth as the One who created everything, the One who visited Abraham, the One who has now been sent to heal and deliver. The name Jesus means "The One who heals/saves". His name Emmanuel means "God with us". 1:14 "And the Word became flesh and dwelt among us, and we beheld His glory, the glory as of the only begotten of the Father, full of grace and truth." Glory. When something was really good we might say it was glorious. If the weather is fantastic we might describe it as a glorious day. When artists used to try and draw Jesus or other people considered good they would place a glow around their head. Really how do you draw something that can be sensed but can't be seen? dóksa: literally means "what evokes good opinion, i.e. that something has inherent, intrinsic worth"
When Jesus was on earth He was like a magnet. People were drawn to Him. Grown men climbed trees to see Him. Children packed a lunch and sat all day to hear Him. Mothers brought their babies to Him. Friends and family brought their sick loved ones to Him. Sometimes He had to get in a boat and speak from there just to have some elbow room. The only people that recoiled from Him were those who were jealous of Him. Religious leaders who saw Him as a threat to their power and turf attacked Him and tried to misrepresent Him. Despite all this John says that the light came into the darkness and the darkness could neither comprehend it or overcome it. His glory could not be contained. He was like no one they had ever seen. It's important to realize that He didn't just appear out of no where. That will become more obvious as we progress but right away John reveals that His arrival was announced. 1:6 "There was a man sent from God, whose name was John. 7 This man came for a witness, to bear witness of the Light, that all through him might believe. 8 He was not that Light, but was sent to bear witness of that Light. 9 That was the true Light which gives light to every man coming into the world." This John is John the Baptist. He was a mighty preacher before Jesus openly began His public ministry and the main message that John preached was the imminent arrival of the Messiah. It's critical to understand that the Jewish people and others as well we're expecting someone to come. Prophecy had predicted it, the timing was imminent, and now John is announcing it. That someone special arrived on the scene was no shock, it was anticipated. The shock was in who came or more specifically the type of person who came. It was His glory that was unexpected. It was the Light in contrast to the darkness that was unexpected. The nation was waiting for a hero but not the kind that came. Instead of being full of military might and political power He was full of grace and truth. 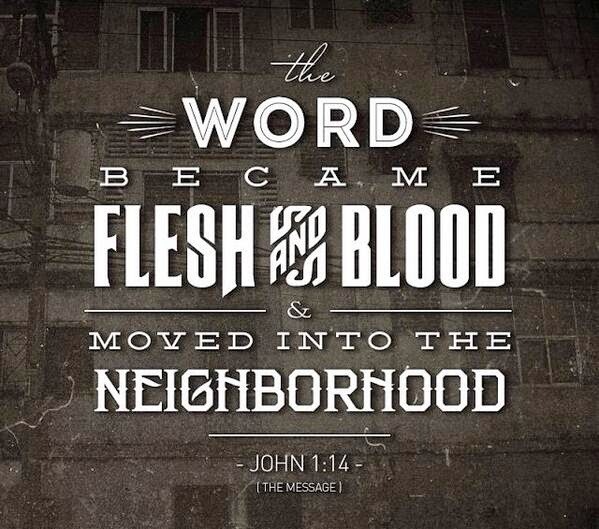 The Gospel of John Begins! Each of the 4 Gospel writers has a unique style and a particular thrust to their story. Each is not just telling what happened. They are telling it in such a way as to make a specific point about Jesus and His life and mission. Of the 4, John is by far the most unique. He concerns himself little with the chronology of Jesus' life and the events that happened. Instead it's more of a behind the scenes look designed not to give us information but to reveal the identity and character of Jesus the Messiah and what His true identity means for us. Let me tell you a story about myself to illustrate what is often wrong with religion and then contrast it with how religion should be as demonstrated by Jesus through the Gospel of John. Several years ago a Muslim man began attending my church on a semi regular basis. Whenever he was there he would engage me in conversation after the service was over. He would ask me questions clearly designed to influence me toward Islam. I would ask him questions to challenge his thought process. He frankly admitted one day that in Islam you are judged by how many good things you do against how many bad things you have done. Whichever is greater determines your destiny. I asked him how there could ever be peace and assurance in such a system? He left in deep thought. He returned a few weeks later and I preached the gospel. He had tears in his eyes. Clearly the message of His Good News was having an effect on him. That day he slipped out quietly with no talk of Islam or my question. He did not return for many weeks. Then one day he came again. This time after the service he was quite animated and wanted to know if we could talk privately. We went to a room in the basement where we wouldn't be disturbed. He pulled out a Bible and told me he too believes the Bible. I was excited. He showed me many places where he had underlined sections. He then told me he too believed in Jesus, that He was a great prophet like Mohammed. It was at this point that the wheels fell of. I went from a humble sharer of truth to a man seeking to prove I was right. 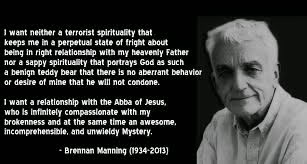 His claim that Jesus was just a prophet like Mohammed offended me. I asked him if he believed all of the Bible he held in his hand. He said he did. I asked him for it and he passed it to me. I opened it to the Gospel of John, the first chapter. I gave it back to him and asked him to read it. "In the beginning was the Word, and the Word was with God, and the Word was God. 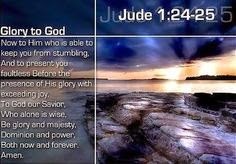 2 He was in the beginning with God. 3 All things were made through Him, and without Him nothing was made that was made. 4 In Him was life, and the life was the light of men. 5 And the light shines in the darkness, and the darkness did not comprehend it." 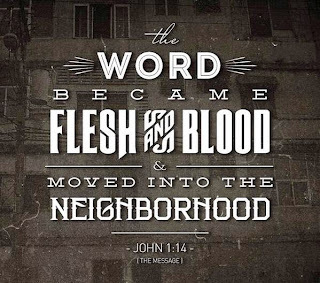 14 "And the Word became flesh and dwelt among us, and we beheld His glory, the glory as of the only begotten of the Father, full of grace and truth." He looked up from the page with a look of bewilderment on his face. Clearly he had never read this before. He said "Are you saying Jesus is God?" I smiled smugly. No longer a humble sharer I was now a predator with his prey helplessly caught. I was right and I had proved it. The poor man leapt from his chair, prayed a frantic prayer in his own language, then looked at me with literally terror in his eyes and said "May Allah forgive us" and he fled the church. I never saw him again. 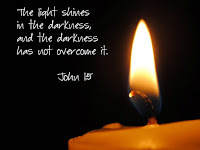 John just introduces Jesus as the Light of the world, present since the beginning, the Creator of all, and that the Light shines in the darkness for all to see. Had I been less eager to be right and prove it, and more willing to just let the Light continue to shine what a different ending the story may have had. Obviously God's Light still shines on that Muslim man's path but I was no help to him that day. He had a picture of who Jesus was painted by his religion and the Jews of John's day had a picture of the Messiah painted by their religion. John has a message for us all that Jesus is greater in position and in character than any of our pictures see Him. This needs no deep commentary. The same God who made you is able to remake you and to keep you no matter how you see yourself or feel about yourself. Forget yourself. There is no solution there. Fix your eyes on Him one day at a time. Start. Today. He's able, He's able, I know He is able. I know He is able. I know my Lord is able to carry me through. He heals the broken hearted. He sets the captives free. He makes the lame to walk again and causes the blind to see. 19 "These are sensual persons, who cause divisions, not having the Spirit. 20 But you, beloved, building yourselves up on your most holy faith, praying in the Holy Spirit, 21 keep yourselves in the love of God, looking for the mercy of our Lord Jesus Christ unto eternal life. 22 And on some have compassion, making a distinction; 23 but others save with fear, pulling them out of the fire, hating even the garment defiled by the flesh." Finally we get to some good news. Jude says despite the problems with those abusing the grace of God it doesn't have to be so with us. In the church there will always be two extremes. Like those in Colossians there will be some saying we need more than Jesus. Then like Jude is saying there will be others who say Jesus is more than enough and we can do whatever we want. 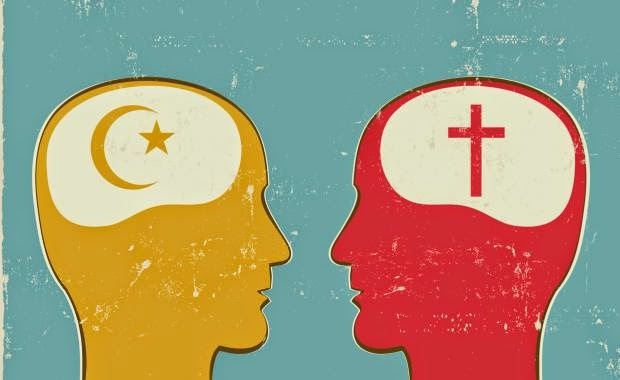 Both of these groups cause confusion and division and when you have both groups in the same church it generally causes nearly everyone to choose a side and create to deceived extremes. But, BUT it doesn't have to happen to you! Follow Jesus. If those who worship with you are going off on a tangent follow Jesus, stay with Jesus, grow in Jesus. Read Matthew, Mark, Luke, and John. Study His life. Look at His priorities. See how He related to people of different persuasions. Ask Him what He wants you to do with your life. Ask Him who you should be helping or reaching out to. When others say you're too liberal or too fanatical remember you aren't following people. He will guide you by His Spirit. He will impress you in different ways. Primarily He speaks through His written Word. The lives of Abraham and Joseph and Moses etc... and primarily Jesus are written down for a reason. They show us lives that are surrendered. They bring balance and direction in the midst of an unbalanced world and often unbalanced churches. More and more I find culture and the church heading toward further and further extremes in every sphere. Finally Jude gives some counsel on how to relate to those on an extreme tangent. Again he presents balance. He essentially says there are two kinds of extreme people. Those who are sincere and need correction through compassion. Then there are those who are stubborn and trouble makers. These need the Matthew 23 approach but again always in love. Sometimes love has to be straight. Sometimes love has to say tough things. Remember Jesus is our example. He is also our Teacher through the work of His Spirit. Never open your mouth in correction unless He says so and never do so unless your only motivation is their salvation. They need to realize that their warped lusts are killing them. This is the fire they must be pulled from. Some have a lust to save themselves by their religious performance. Others have lusts to live as slaves to desire while claiming to live for God. Both groups need rescuing. Both groups need Jesus. Both groups need at times compassion and at times a firm Word from the Lord to warn them. All need prayer. This world is a tricky place. Let us fix our eyes on Jesus. Today. Tomorrow. Always. 16 "These are grumblers, complainers, walking according to their own lusts; and they mouth great swelling words, flattering people to gain advantage. 17 But you, beloved, remember the words which were spoken before by the apostles of our Lord Jesus Christ: 18 how they told you that there would be mockers in the last time who would walk according to their own ungodly lusts. 19 These are sensual persons, who cause divisions, not having the Spirit." There are two kinds of people you should watch out for and if one of them lives in your mirror you should really pay attention. One is people who grumble and complain. The other is those who like to flatter you. Remember the context. Jude is addressing the very real problem of people who claim to be followers of Jesus and belong to the church yet really want to do their own thing, follow their own selfish desires and have the church be ok with it. Some accomplish this goal of changing the path Jesus has for His people by complaining. Complaining is one of the most energy sucking things a person can do. All it takes is one whiner in any group to totally ruin the dynamic. It also creates a situation where everyone wants the same thing. They want to get back to the place where everyone is happy and the complaining stops. The problems and divisions come at this point because there will be multiple views on how to get there. 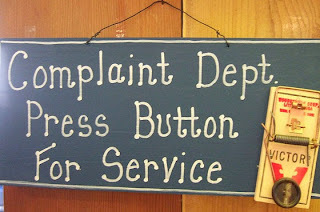 When the Israelites were travelling from Egypt to the Promised Land there were many complainers. The most consistent complaint or twisted desire was to go back to Egypt. However it's hard to legitimize this complaint when a cloud by day and pillar of fire at night are obviously leading the way. Then when they were camped in one spot for a while both the cloud and Moses went up the mountain leaving the complainers and a temporary leader in the valley. 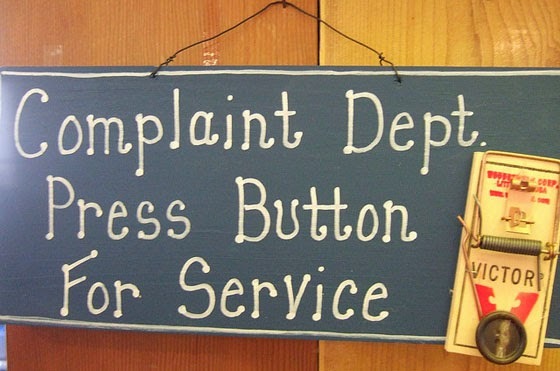 The first thing a complainer needs to add credibility to his or her complaint are sympathizers. The second thing they need are legitimate or at least legitimate sounding reasons to back their complaint. The final thing they need is an alternate solution. Come to a leader with a problem, demonstrate that many agree it is a problem, give evidence to prove it is a problem and then hand them a gift wrapped solution: this is the path to "success" almost every time. Aaron was the leader left in charge while Moses was gone. The complainers followed the three steps. Aaron knew it was trouble but instead of firmly denying them he left the door open. He put the ball in their court thinking they wouldn't agree. Their solution was that they needed a new God and a new leader since Moses was clearly gone too long and was not coming back. Complaining mixed with flattery - a powerful concoction. They didn't revolt against Aaron. They came to him and flattered him with the notion that it was within his ability to solve this great and urgent dilemma. Very shortly after this "dilemma" was solved Moses returned... oops. The truth is they weren't upset he had been gone. They were happy because even though they belonged to the group that was headed for the promised land they really wanted to return to Egypt. Moses absence and the absence of the cloud created the opening they needed to legitimize their own desires. The truth is our own warped desires are the greatest threat to our own advancement. Warped desires in the body of Christ are the greatest threat to the unity and success of the church as it seeks to truly follow Jesus. Jude sees the threat to the church and he identifies it with bold pinpoint accuracy. We live in a culture where the laws of society and of the churches are being rewritten to suit our warped desires. We live in the age of the Golden Calf. Right is being replaced by my human right to do as I please. Every day going forward will be messier and more complex than today is. We need more than ever to fix our eyes on Jesus especially when it seems He is far away and perhaps never returning. There is a saying that when the cat is away the mice will play. Don't play with them. It will only lead to hurt. 12 "These are spots in your love feasts, while they feast with you without fear, serving only themselves. They are clouds without water, carried about by the winds; late autumn trees without fruit, twice dead, pulled up by the roots;13 raging waves of the sea, foaming up their own shame; wandering stars for whom is reserved the blackness of darkness forever. 14 Now Enoch, the seventh from Adam, prophesied about these men also, saying, “Behold, the Lord comes with ten thousands of His saints, 15 to execute judgment on all, to convict all who are ungodly among them of all their ungodly deeds which they have committed in an ungodly way, and of all the harsh things which ungodly sinners have spoken against Him.”"
There is a song I remember from when I was younger called "She ain't pretty, she just looks that way". She was beautiful on the outside but anything but on the inside. We don't get to choose our appearance or our personality but our character can be molded and the ugly aspects healed if we surrender to the only One who can change hearts. Jude says there are people in the church who are ruining it for everyone else based on one single trait. They appear to be part of the 'called out ones' but their hearts remain unchanged. The trait that is ruining everything is selfishness. Think about it - the root problem in the 3 men we have looked at over the last 3 days was selfishness. Cain wanted attention and glory brought to his crops. Balaam was willing to destroy an entire nation just to line his pockets with cash and Korah wanted to be the top dog. All intensely selfish. Selfishness isn't just unattractive or "bad", it's destructive. People get hurt. People die. Car companies have cut corners to save cash that have caused death. Factories have hidden facts that have poisoned local water and made people get sick and die. The Canadian railway was built essentially on slave labour that killed hundreds if not thousands of Chinese workers. All of it greed which is a form of selfishness. The longer I serve as a pastor the more convinced I become that religion is too often an exercise in selfishness. True religion is the pursuit of the One who died for us. His love is the antidote to selfishness. However the reality is we all seek Him at first for selfish reasons. He has the power to get us things we can't get on our own. Even His disciples blurted out one day "We have left everything for You, what are we going to get?" But if we never mature past that point of pursuing to get we are no different than a young bombshell marrying a rich old man just to get his inheritance when he dies. Selfish. Religions the world over are nothing more than elaborate schemes to earn a reward. Intensely selfish. These religions were often started by people who saw in the scheme a great way to lone their pockets or increase their power or stroke their egos. Intensely selfish. Again the antidote is Jesus. There is not a shred of selfishness in Him. He had nothing to gain and everything to lose by coming here. His very life on this planet is a demonstration of the opposite of selfishness. He endured the loneliness of having no one understand him. He endured the hatred of many. He endured the constant attacks, the constant underhanded attempts to misrepresent and trap Him in His words. He endured a society torn by prejudice, racism, greed, false religion, hypocrisy etc... in a word He endured selfishness day after day after day. Even on the cross his own disciples chose self preservation over loyalty to Him - selfishness. It was His enduring love that became the antidote. His shocking selflessness became the catalyst that turned those 12 men and many others around. We begin pursuing Him for the wrong reasons but the pursuit exposes us to Him and we can't remain in His presence without either becoming like Him or choosing to flee back into the darkness of selfishness like Judas did. The truth is there will always be Judas' among us. Some are in the process of being healed. Some are committed to never being healed. Either way our calling remains the same. We are to follow Him. We are to endure. We are to be a light in the darkness. If we find ourselves being overwhelmed by the darkness and selfishness in others we clearly are looking in the wrong direction. Let us fix our eyes on Jesus. Today. Always. Grace. Always. 10 "But these speak evil of whatever they do not know; and whatever they know naturally, like brute beasts, in these things they corrupt themselves. 11 Woe to them! For they have gone in the way of Cain, have run greedily in the error of Balaam for profit, and perished in the rebellion of Korah." One more character to cover from Jude's list of examples: Korah. You can read all about what happened in Numbers 16. Korah worked to convince as many as he could that Moses and Aaron were frauds and that they shouldn't be in leadership. They told anyone who would listen that God was not really leading them. He went further than that. His proposed solution was that he should be the leader. Many today feel at liberty to attack leaders, be they political leaders, religious leaders, or even parents. Respect for authority is dying and a spirit of arrogance and rebellion is growing. The root of it all is the cult of "I". Individualism is the driving force in our consumer driven culture. Our obsession with ourselves and with the immediate is blinding us to how much we owe to those who have gone before us and how dependent we all are on each other in the present. Korah used the fact that Israel was still not in the promised land as the wedge to drive division into the hearts of the people toward Moses and Aaron. Conveniently he and they forgot the miracles that made it possible to leave Egypt. They forgot the crossing of the sea on dry land followed by the drowning of Pharaoh's army in the same sea. They forgot the water God provided to drink. They ignored the food that appeared new every morning. They ignored the cloud by day and pillar of fire by night that both lead them and came to rest in the Sanctuary when they were not travelling. These and many other things they purposely ignored because it didn't fit their picture. They had an agenda. They only focused on the information that suited that agenda. All around us are people with agendas. Like Korah they paint a picture suited to that agenda. Those against women in leadership speak loudly about how God ALWAYS uses men in leadership, conveniently ignoring the fact He used women as prophets and judges and in other key roles when He chose to do so. These are historical facts that must not be ignored. Jesus is the Truth. We must get our picture from Him and in so doing we must not pick and choose those aspects of His character that suit us while ignoring the rest. It should never be our goal to be a Moses. Our goal should only ever be to serve and grow where God has placed us. His goal is to make us the best we can be. He loves us more than we love ourselves. Why would we rebel against that? The error of Balaam. Quite the sad story, complete with a talking donkey. Balaam knew God. He was a prophet. In fact one of the most striking prophecies about Jesus' birth came from the lips of Balaam about 1500 years before it happened. The children of Israel were on their way from Egypt to the promised land (Canaan). When they were passing by Moab the king of Moab feared the Israelites would destroy them. Balaam lived far to the north east but had a reputation for knowing the God of Abraham so the king sent a delegation to find him and offer him money to ask God to curse the Israelites. At first Balaam said no but the cash offer was too hard to resist so he decided to give it a try. As he rode his donkey toward Moab the donkey stopped. Balaam hit him. The donkey asked him why. Yes the donkey spoke. The donkey couldn't understand why Balaam was hitting him when the road was blocked by an angel wielding a sword. Despite all this Balaam kept going determined to get the cash. When he arrived he tried to curse Israel but only blessings came from his lips. Finally he tells the king the only way to "curse" the Israelites is to entice them into sin. This was accomplished by inviting them to a feast for Baal and having their women seduce the men of Israel. In the end Balaam loved money more than God and became a willing instrument in the hands of the devil because of it. In many ways Balaam is the Judas of the Old Testament. The saddest part of his story for me is that when the king of Moab first asked him to curse Israel he said no because he knew it was wrong. Then he prayed and God told him not to do it. Then he prayed again and God told him to go ahead. Many times I have watched people convince themselves to do a wrong thing when they knew it was wrong. Sometimes it is by seeking advice from several people until they find someone who agrees with them. Sometimes it is even by prayer. There is no need to pray if we already know His will. Even playing with ideas we know are wrong is just a slippery slope to no where good. We think we will profit by following our desires. If those desires didn't come from God the cost is far above the benefit. Every. Time. 8 "Likewise also these dreamers defile the flesh, reject authority, and speak evil of dignitaries. 9 Yet Michael the archangel, in contending with the devil, when he disputed about the body of Moses, dared not bring against him a reviling accusation, but said, “The Lord rebuke you!” 10 But these speak evil of whatever they do not know; and whatever they know naturally, like brute beasts, in these things they corrupt themselves. 11 Woe to them! For they have gone in the way of Cain, have run greedily in the error of Balaam for profit, and perished in the rebellion of Korah." Cain, the first murderer in human history but there is much more to his story than that. We find him in Genesis 4 building an altar to worship God. The only problem is that while claiming to worship God he is really worshipping himself. God had asked for a sacrifice of an animal because the animal was symbolic of Jesus. Cain was a crop farmer. He wanted to offer his own crops instead of animal and eventually he did. Like the Frank Sinatra song says "I did it my way". The people in the church that Jude is talking about are all about "doing it their own way" while claiming to be worshippers of God. Jude calls them defilers of the flesh. God made us and he tells us what food is best. He tells us how to guard our sexuality and the parameters for healthy relationships. He tells us we are designed to work and that laziness will negatively impact our bodies. He tells us are minds are also to be protected by avoiding exposure to evil and corruption and thinking about positive things. 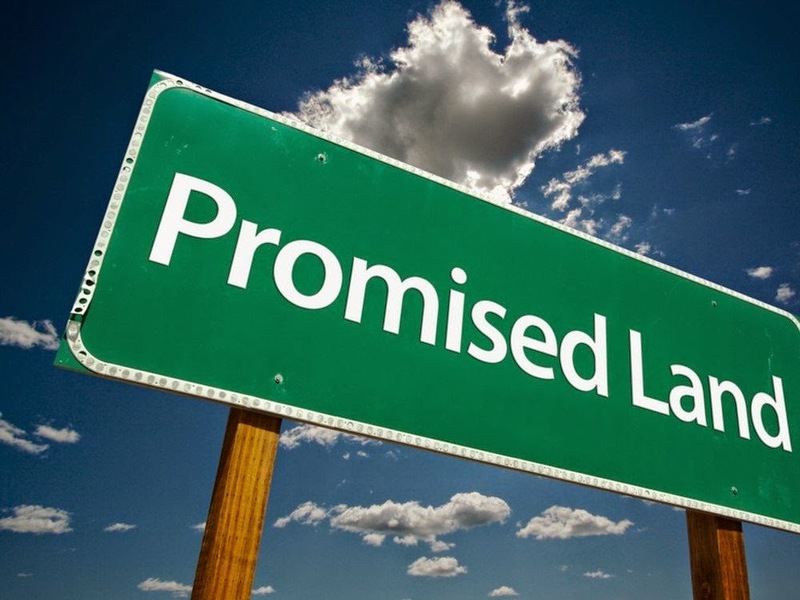 Because of sin we often have desires that run contrary to God's instruction. By simply living as obedient slaves to our desires while ignoring His principles we are becoming brute beasts and following in the footsteps of Cain. Had we asked him (when he first had the idea of offering crops instead of a lamb) if he thought he would ever kill his own brother he would have thought we were crazy. Sin changes us for the worse. Surrendering to God changes us for the better. We are fools if we think we can embrace the grace of God and then live as slaves to our desires. Sin destroys. There is no way around. We can make our own choices but we can't change the rules. As I have been reflecting on Jude's letter the past few days it occurred to me that democracy has affected our thinking in a delusional way. We have come to the place in our culture where we believe right and wrong is defined by majority consensus. This is grossly deceptive. Voting may change our choice or direction but it doesn't change the unalterable laws of God and if we vote to act against any of those laws negative results will follow. It is unavoidable. Be wise. Listen. Submit to Love. Follow. Today. 8 "Likewise also these dreamers defile the flesh, reject authority, and speak evil of dignitaries. 9 Yet Michael the archangel, in contending with the devil, when he disputed about the body of Moses, dared not bring against him a reviling accusation, but said, “The Lord rebuke you!” 10 But these speak evil of whatever they do not know; and whatever they know naturally, like brute beasts, in these things they corrupt themselves. 11 Woe to them! For they have gone in... the way of Cain, have run greedily in the error of Balaam for profit, and perished in the rebellion of Korah." Michael is a tricky one. From the old testament all we know is that Moses died on the mountain overlooking the promised land (Canaan). In the Gospels we find Moses and Elijah appearing to Jesus, Peter, James, and John. We know Elijah was taken to heaven before he died but what happened to Moses? 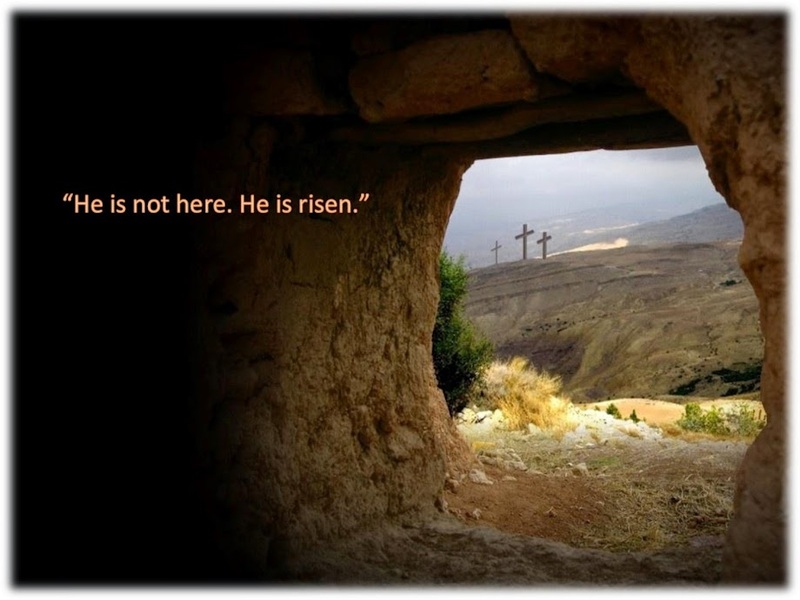 Normally people just sleep until the resurrection when Jesus will wake all the dead. That's why whenever Jesus referred to a dead person He said "they are sleeping". So how did Moses end up very much awake? How did he get to be with Elijah? What happened? Well Jude tells us. He tells us Michael the archangel came and took Moses after his death. Just as Jesus "woke people from the sleep of death" so was Moses awakened. However as interesting as that might be it is not Jude's point at all. His point is that Michael never argued with the devil. In a world where we as arrogant humans are constantly arguing and thinking we know more and better than others Michael never argued. What would the argument have been about? Moses professed to be a child of God yet some of his actions were less than perfect. Satan felt he had "won Moses to the dark side". As the accuser of the brethren who tracks and records our every mistake he believed Moses was a lost man and had no right to the kingdom of God. He was of course correct. For this reason Michael did not argue. He just stated a rebuke from the LORD and took him. At that point in history Michael couldn't argue the blood of Jesus on Moses' behalf because Jesus had not yet spilled His blood on behalf of sinners like Moses. Yet Michael knew in his heart Moses was a true follower of God and that some day the penalty for his sins would be paid for on a hill called Calvary. Rather than argue about it He just took Moses and that was that. The lesson here is profound. When you know that you are right there is no need to argue. Just go forward. If you are not sure you should never argue because you might be wrong. Therefore we should never argue at all. When we are right time will prove it and all opportunity for arguing will be removed. When we are uncertain we should wait rather than argue until we become certain. Arguing is for liars and fools and as Jude stated reduces us to brute beasts. Dreamers: those who experience things in their imagination that are not happening in reality. In the context of what Jude is addressing these people imagine that they can behave as they wish without consequence. This is not reality. They reject authority and imagine their is no law or authority higher than their own opinions. This is not reality. They speak evil of dignitaries again in an attempt to raise themselves up by tearing them down. In the real world this changes nothing. I can bash cops or the government or anyone I want but they are still in their position when I'm done. Jude goes on to say they speak evil of whatever they do not know and like animals continue to live by instinct rather than principal. Speaking evil is easy. Criticism is so easy. It's even easier when we don't know what we're talking about. We can criticize how something was built not realizing that given the circumstances under which it was made (lack of time or proper tools or proper materials etc...) it is actually an amazing accomplishment. We can criticize a person not realizing that if we had been through the experiences they have been through we would see things differently too. We can criticize the government not realizing they may be doing what is best given the parameters they have to work in. It's really easy to be a fool, I've been there more than once. God is our Creator. He designed our physical bodies. He designed our emotions and intellect and reasoning powers. He knows how they work and what they need to work optimally. Wouldn't it be crazy for the creature to argue with or mock or ignore His instructions? In the end all we would accomplish is our own destruction. When I was a kid my brother and I got a small dirt bike. It was fun while it lasted but then we put the wrong oil in it and the engine was ruined. Correct oil = good results. Wrong oil = disastrous results. Somewhere along the way we became delusional and adopted the idea that God just made up a bunch of random rules to exercise His authority over us and control us. Somehow we missed the part where He said "Keep My laws that it may go well with you." We can ignore His instruction. As a society we can vote in new and different laws. It won't change reality. We are dreamers acting like brute beasts when we imagine we can follow our corrupted desires wherever they lead and everything will be ok.
Let's try something radical. Let's just take Him at His word even when in our ignorance we think we know better. Tomorrow we'll take a closer look at the stories Jude alluded to in our passage today to illustrate his point. 7 "as Sodom and Gomorrah, and the cities around them in a similar manner to these, having given themselves over to sexual immorality and gone after strange flesh, are set forth as an example, suffering the vengeance of eternal fire. 8 Likewise also these dreamers defile the flesh, reject authority, and speak evil of dignitaries." Over the course of history there have been countless examples of ideas society at large held as truth that were later discovered to be anything but true. About a century ago it was common practice in the medical field to prescribe smoking to patients as a treatment for lung problems. Oops... 500 years ago it was well known that the world was flat. Oops... Today it is commonly believed that milk is good for us. We are in the process of discovering that is a big oops also. In Christianity it has been widely taught and believed that hell is a place where the wicked humans will go and remain alive for eternity burning endlessly in a state of constant agony. 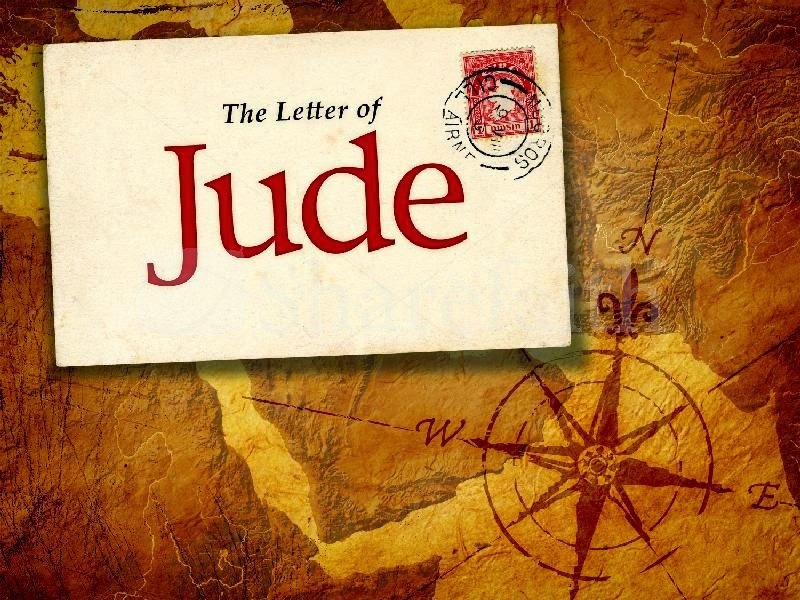 The only antidote for error is truth and here in the tiny letter of Jude is one of the many clues in the Bible that reveal hell does not burn endlessly. Sodom and Gomorrah were twin cities built on the shores of what we now call the Dead Sea, the lowest stretch of land on plant earth, almost half a kilometer below sea level. About 4500 years ago these cities had become completely depraved on a level we have not yet seen again but will before this world ends. You can read about it in Genesis 18 and 19. Jesus foretold that the earth will become like those cities before He returns. Not a pleasant thought. So evil did they become that God sent 2 angels in with the message that the cities were about to be destroyed and only those who left with the angels would survive. Jude says the cities suffered the vengeance of eternal fire. Our current view of hell and eternal fire would interpret this to mean that Sodom and Gomorrah are still burning and will continue to burn forever. However archaeologists are quite confident they know the location of these ancients cities on the south east side of the dead sea. Exact location aside, what no one has found around the Dead Sea are two cities that are still burning. So what is an eternal fire then? Quite simply it is a fire that so completely destroys and consumes that whatever is burned it gone for eternity. See we have taken eternal destruction and turned it into eternal destroying which are two very different things. There are three good news items to be extracted from the sad tale of these two cities. The first is the good news that evil will not exist forever. Many say there is no God because the world is so bad and if there was a good God He would do something. At times he has dealt with evil on a small local scale. In the end He will deal with it on a global scale. The second piece of good news is that God is not interested in destroying people. He destroys evil. He invites people to flee the evil before He destroys it. His plan is to get rid of evil and save us all at the same time. Sadly many will choose to stay with the evil. This is not good news but it is good news that God offers choice and leaves us free to decide. The third good news aspect to this whole scenario is that God is not a sadistic tyrant who will enjoy the screams and sufferings of the lost for eternity. He will not preserve evil in some fiery corner of His otherwise perfect universe forever. His eternal plan is to ensure evil is eternally gone just as Sodom and Gomorrah are eternally gone. The Bible promises that when this great war between God and the devil is over sin will never return. Love will reign and peace will persist and joy will flood the entire universe never to be marred again. He wants us to choose to flee "Sodom" and live with Him forever. "Choose this day whom you will serve. As for me and my house, we will choose the LORD." "But the day of the Lord will come as a thief in the night, in which the heavens will pass away with a great noise, and the elements will melt with fervent heat; both the earth and the works that are in it will be burned up." Jude 5 "But I want to remind you, though you once knew this, that the Lord, having saved the people out of the land of Egypt, afterward destroyed those who did not believe. 6 And the angels who did not keep their proper domain, but left their own abode, He has reserved in everlasting chains under darkness for the judgment of the great day; 7 as Sodom and Gomorrah, and the cities around them in a similar manner to these, having given themselves over to sexual immorality and gone after strange flesh, are set forth as an example, suffering the vengeance of eternal fire." Yesterday we learned about a specific lie that certain men brought into the church. Jude says they "crept in unnoticed". Their message was a lie dressed in good news. 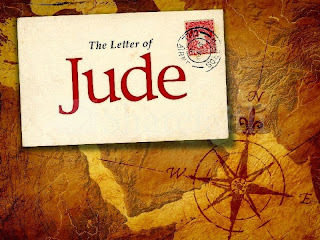 The lie was that God's grace is so good that we can live any way we want and everything will still be ok.
To illustrate that this thinking is a lie Jude refers to history. He refers first to those rescued from Egypt who later died in the wilderness because they decided they loved Egypt more than they loved God. At the risk of today's verses being misunderstood as harsh and vengeful we need to understand what sin is and what it is not. Sin is the violation of natural laws. God's universe operates on the principles of love and any time those principles are violated, harm, destruction, and ultimately death follow. Gravity is a natural law in the physical realm. It applies to everyone regardless of gender, colour, or any of the other myriad ways we divide ourselves. A person who jumps off a skyscraper without any safety gear will fall. This will happen every single time. The fall will be followed by harm, destruction, and death. Other laws have similar consequences but may take longer to see the devastating results. Speaking critically and harshly to a child day after day for all of their developmental years will cause harm and destruction and though it may not cause the death of their physical body it will kill their creativity and their worth and significantly dwarf them as a positive contributing member of society. On the flip side coddling a child and telling them everything they do is wonderful and never giving them any corrective guidance will also cause harm and destruction. "For whom the Lord loves He corrects, Just as a father the son in whom he delights." Sin is in the simplest terms the violation of love. It can happen in different extremes but the end is always the same. 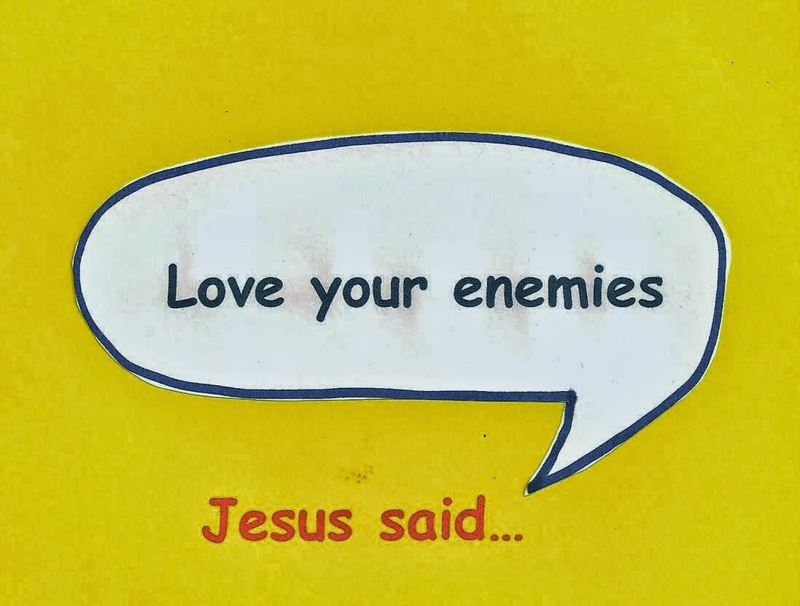 In Colossae and Laodicea they violated love but denying that Jesus was enough and then tried to add their own "goodness" to it. Now Jude is addressing the opposite extreme. People who say that Jesus was more than enough to the point that we can continually, persistently, and purposefully abuse His love and grace and everything will be fine. Jude looks back and points out that this thinking didn't work for the rescued Israelites or the fallen angels or those in Sodom. In each case these groups knew, understood, and experienced the love and grace of God but chose their evil desires instead. This is the choice we all have. It is literally a life and death choice, not because God kills anyone who disagrees with Him but because the violation of love causes death. Every. Time. We have the freedom to live however we choose but every choice has consequences. Choose Love and abound. Choose Him today. 3 "Beloved, while I was very diligent to write to you concerning our common salvation, I found it necessary to write to you exhorting you to contend earnestly for the faith which was once for all delivered to the saints. 4 For certain men have crept in unnoticed, who long ago were marked out for this condemnation, ungodly men, who turn the grace of our God into lewdness and deny the only Lord God and our Lord Jesus Christ." In verse three Jude says we need to contend for the faith. The Greek word translated to contend is also the word from which we get the word agonize. To contend for with agonizing gives the idea of some serious intensity. What kind of faith are we contending for? Jude says it is the faith that was delivered once for all. Do you remember Hebrews? Do you remember how it described the sacrifices in the old testament and how they were offered day after day. Then Jesus came and he was the better sacrifice and He offered Himself once for all. The lambs and goats and bulls etc... were only shadows pointing forward to the Lamb of God who takes away the sin of the world - once for all. If you have been noticing pretty much every letter written to the churches in the New Testament has one thing in common. They all address some twisting of the faith that was delivered to the saints once for all. In Colossae it was the heresy that Jesus was not enough and more must be added. In Philippi it was the heresy that when my prayers are not answered as I think they should be Jesus is not taking care of us. In Galatia it was the heresy that Jesus plus law keeping will save us. In Romans it was several things. Now Jude is tackling an issue we haven't quite seen though it was alluded to strongly in Romans. It is opposite to the heresies in Colossae and Galatia. This heresy is that Jesus has done everything so how we live now doesn't matter at all. They have as Jude puts it, turned His grace into lewdness. I am a pastor. Statistics say 60% of husbands cheat on their wives and 40% of women cheat on their husband. Cheating on a spouse is one of the most serious crimes a human being can commit. It is so serious that Jesus even allows that marriages can be dissolved because of it. However the truth is some marriages survive adultery - more often than you might believe actually. Now imagine a couple suffering through the ravages of an affair and the one who cheated is forgiven by their spouse. Then he or she goes out and cheats again without remorse or regret because through the process of working through the first affair they learned that they are loved and forgiven. "She says she forgives me and she will always love me so I can cheat as much as I want!" Jude says this "gospel" is a denial God and Jesus. It turns grace - which is a gift from God through Jesus designed to bring restoration to a broken relationship - into a license to be a narcissistic, selfish fool. God's love is unquenchable and unchanging but to have a loving relationship requires two. His grace awakens our love. If we abuse His grace the relationship will die in spite of the fact He will continue to love us for eternity. One sided love is not a relationship. It is lewdness and abuse and evil. It was the abuse of God's love and grace that ignited sin in the universe and marred heaven and polluted the earth. Only those who respond to His grace with reciprocal love will experience the universe made new. This is life eternal. Anything less is a lie. This does not mean we will love Him perfectly everyday but it does mean we will never cheat on Him without regret or remorse. Those who spurn the undeserved love of another are described in the Bible as fools. Jude 1 "I've decided to sneak in the tiny book of Jude while deciding what larger book to study through next. 1 Jude, a bondservant of Jesus Christ, and brother of James, to those who are called, sanctified by God the Father, and preserved in Jesus Christ: 2 Mercy, peace, and love be multiplied to you." There are theories but no way to know for sure (that I know of) who Jude was. Possibly the brother of the disciple named James or the brother of James the brother of Jesus. Either way he was close to the action and close to Jesus. His opening is quite remarkable. He is writing to the believers, those who are called or literally 'the called out ones'. It was the practice back then to communicate with the believers spread all over by letter writing and then circulating the letters around - similar to a mass email today. The letters would be read in the churches during their gatherings so everyone could hear. What struck me today was the verb tenses of the descriptors he uses for the church. The called, sanctified, and preserved. Called out of the world is pretty straight forward, sanctified is not. Typically we teach and think of being sanctified as a process, not a completed event. However Jude says it is done, finished, complete. What does he mean? He means what he said. Sanctified means literally set apart for a holy purpose. Follow the line of his thinking. First we are called out of the world. Then we are set apart by God for a holy purpose. Then we are preserved in that calling and setting apart by Jesus. What a privilege to be called and set apart. What a promise to know that despite who I am Jesus will preserve me. So simple. So beautiful. So reassuring. Are you being called? Does God want to set you apart for a holy purpose? If you answer the call God will set you apart and Jesus will keep you. Philippians 4:19 "And my God shall supply all your need according to His riches in glory by Christ Jesus. 20 Now to our God and Father be glory forever and ever. Amen. 23 The grace of our Lord Jesus Christ be with you all. Amen." What an ending! Easy to pass over or misunderstand and a passage often ripped from it's context. Here is a group of believers upset because God is not supplying what they think they need. I remember in school being taught what the basic human needs are and staring at the list wondering if I agreed. The one I got stuck on then (I was in grade 8) was shelter. I had been reading about a tribe somewhere in Africa that lived without homes or even shelters. I figured if they could do it than it must not be a need for all humans. God's glory is the qualifier and His glory is His character. This means what we get from Him as a supplied need will be determined by His character which is love. As we have already seen in this letter to the Philippians God is not a parent who supplies our wants always or who responds to our nagging or tantrums. Now we're finding out that even our needs are determined by His all wise all loving character. What does this mean on a practical level? It means we get or don't get based on His knowledge of our situation not on our perception of our situation. In one letter Paul says he was having a physical problem and he prayed repeatedly for God to heal him and nothing happened. This is the same Paul who prayed for others and miracles happened, proving that miracles are from God and not from men and dispensed at His discretion according to His character of love. Paul finally realized that God knew the problem he was having was for his good - in other words it was necessary - and he said about his problem: "His strength is made perfect in my weakness". Here is the sum and substance of the letter to Philippi - If you are following Jesus what you have right now is what you need right now. God didn't watch His Son die in silence "leaving Him in the lurch" only to treat with indifference the mass of humanity for whom Jesus died. He has supplied everything necessary to bring you to where you are right now. He is supplying everything you need for where you are right now and He will continue to add to and take away from you whatever is needed in order to get you Home. At the end of the day getting back to Him is our only need and He knows the shortest route no matter how long and hard it may feel. Pray for what you think is necessary, then trust His character no matter the answer. Philippians 4:14 "Nevertheless you have done well that you shared in my distress. 15 Now you Philippians know also that in the beginning of the gospel, when I departed from Macedonia, no church shared with me concerning giving and receiving but you only. 16 For even in Thessalonica you sent aid once and again for my necessities. 17 Not that I seek the gift, but I seek the fruit that abounds to your account. 18 Indeed I have all and abound. I am full, having received from Epaphroditus the things sent from you, a sweet-smelling aroma, an acceptable sacrifice, well pleasing to God. 19 And my God shall supply all your need according to His riches in glory by Christ Jesus. 20 Now to our God and Father be glory forever and ever. Amen." Now Paul thanks them for their gifts to him but again not in the way we would expect. He essentially says "I am thankful for your help not because I needed it but because of what it says about your character. It tells me you are becoming more like Jesus". There are two points I want to make today that are connected and sum up the essence of this short letter. The first is that despite their doubts and struggles the believers in Philippi really are believers. It is evidenced not only by their concern for Paul and their generosity, but by the kind of generosity they demonstrated. Paul said when he left Macedonia to minister elsewhere they were the only ones who aided him. You see often even our giving is territorial and selfish. We give only if we see it as a local benefit that will come back to us. Not the Philippians. They saw beyond their own church and their own town and their own region. They grasped the Jesus who declared "This good news about My kingdom will be preached in Jerusalem (my town), in Judea (my country), in Samaria (my neighboring country that I don't even like), and to the very ends of the earth. (my far off out of sight and mind places filled with heathen enemies)". They were not only willing to let Paul their beloved teacher go to strangers but funded his travels. This is the heart of a mission minded church. This is the heart of Christ Jesus. It was rare then and it remains rare today. My last point is a critical one. It is an insight the Lord has placed on my mind that feels heavy because of how deceptive it is. The church in Philippi were not bad people but they were going through a bad time. They were down and depressed and it was causing angst and division. Often in groups, be it a family, a work team, a church, a sports team, anywhere where a group are working together to seek success or achieve a goal, stress comes. When that goal is not met or seems unlikely to be met the pressure often causes family/team members to turn on each other. The blame game starts with finger pointing and accusations. In the case of the Philippians they are in trouble because their hero is in prison and their God is silent. Here is the point God showed me. The root of the trouble in Philippi was their love for Paul coupled with an immature picture of God and what it looks like to follow Him. Think about it. If they didn't really care about others (in this case Paul) there would have been no problem. If they had been less like Jesus in their compassion they wouldn't have been so upset. Satan used the good in them to his advantage! He took their compassion and turned it into misguided passion fueled by false expectations. In their Christian immaturity they expected, miracles, deliverance, and every battle won. They saw Paul in prison as the Hebrew boys in the furnace or Daniel in the den of lions. God should be doing something heroic like He used to do. So through stress their Godly compassion and love turned to misguided passion which was causing them to turn on each other and on God. Parents lose a child and their love for their lost child often turns to hatred for their spouse and they lose not only their child but their marriage too. How many times in epic stories of good versus evil does the evil character find a weakness in the good guy based on his love? A lover or a child is kidnapped in order to make the good guy surrender. Where do you think this story line originates? No one knows better than God that the path to ultimate victory goes through the valley of crushing defeat. We all want to follow Jesus into heaven forgetting that His path was through Calvary and the grave. Satan will attempt to use our love to make us lose our minds. We must always remember that there is nothing Satan can take away or destroy that is anything more than a temporary victory in a war he has already lost. God will restore to us more than we can imagine. The same Jesus who was "left in the lurch" by His own Father is now sitting beside Him in the Home they are preparing for us. Trust that every heart ache and tear is a necessity designed to get us all Home. Philippians 4:10 "But I rejoiced in the Lord greatly that now at last your care for me has flourished again; though you surely did care, but you lacked opportunity. 11 Not that I speak in regard to need, for I have learned in whatever state I am, to be content: 12 I know how to be abased, and I know how to abound. Everywhere and in all things I have learned both to be full and to be hungry, both to abound and to suffer need. 13 I can do all things through Christ who strengthens me." Apparently the Philippian church found a way to get a care package of some sort to Paul. He thanks them for it in the most bizarre way. He basically says it was nice of them but that he didn't need it. It almost sounds rude. Imagine giving a gift to someone and their response is "Wow it was nice of you to do this but I don't need it. I've learned to get along with or without." Why does he say anything? Why not just say thank you and stop? From various angles Paul is addressing their state of mind that is dragging them down. His latest angle is to explain that His peace and contentment is not tied to his stuff. He can enjoy nice things and he can also get by without. Employed is great. Unemployed is survivable. Free is great but he can handle prison too. Being respected and accepted is wonderful but he can handle being treated like a criminal or like a fool as well. He is trying by example to show them that when our confidence and security and sense of worth comes from Christ the world can do whatever they wish or say whatever they wish or take away whatever they wish and we remain unfazed and unchanged. Just imagine how different Jesus' life and ministry would have been if He needed the approval of men or a certain standard of living? We can thrive in any situation if we don't get circumstancial blindness and lose perspective. If God be for us, who or what can be against us? We can do all things in and through His strength. Philippians 4:8 "Finally, brethren, whatever things are true, whatever things are noble, whatever things are just, whatever things are pure, whatever things are lovely, whatever things are of good report, if there is any virtue and if there is anything praiseworthy — meditate on these things. 9 The things which you learned and received and heard and saw in me, these do, and the God of peace will be with you." Have you ever been blind? For many summers I worked at National Camps for the Blind. The very first summer it was required to spend half a day "blind". We had to have a guide to lead us around, we had to do one of the camp activities blind, and we had to eat a meal blind. Far from being blinding it was an eye opening experience. However the short experiment of living without physical sight was not nearly as insightful as meeting and getting to know some of the campers over several years. Two quotes from two different campers, both born blind, will never be forgotten. Visiting with George one day I asked him if he had ever had his sight. He said no. Later in the conversation he asked me to describe something so I did. Then he asked me about my car so I described that. He asked me what colour it was and I told him it was black. "I know what black looks like" he said emphatically. I asked him how he could know what black looks like if he had never seen it. "It's all I ever see" he said. The other statement I will never forget was from Rick. We were going for a walk one day and Rick said he would never want his sight restored. I was blown away. I asked why. "Because being blind is all I've ever known. I think being able to suddenly see would be overwhelming." Jesus healed blindness a lot. He spoke about blindness a lot too but not physical blindness. He spoke of the inability to see things as they really are. He made statements to the religious leaders like "you look but you don't see." I am learning that the worst form of blindness is what I call circumstancial blindness. A problem arises in our lives and we look at it so intently that soon we can see nothing else. Perhaps someone makes a mistake and we suddenly forget every good thing they have ever done because we are so fixated on the present mistake. Or we don't get an answer from God about a situation we're facing and suddenly we forget everything God has ever done for us. The believers in Philippi are suffering from situational or circumstancial blindness. Paul's imprisonment and God's "failure" to set him free has become all consuming to them. It is literally blinding them to the bigger picture of all God has done and has promised to do. As his last piece of counsel to them Paul asks them to refocus. He asks them to pry their "eyes" off of the immediate circumstance of his imprisonment and think about other things. What things you ask? "Finally, brethren, whatever things are true, whatever things are noble, whatever things are just, whatever things are pure, whatever things are lovely, whatever things are of good report, if there is any virtue and if there is anything praiseworthy — meditate on these things." If you don't like your present circumstances think about the good you have already experienced and better yet think about all that God has promised. Weeping may last for the night but joy is coming in the morning. The dark valley may be necessary but even if it is we need not fear any evil because He is with us even when all our physical senses tell us otherwise. 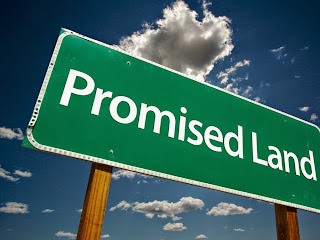 Remember what He has done, think about what He has promised He will do. Think on these things. Always. Philippians 4:1 "Therefore, my beloved and longed-for brethren, my joy and crown, so stand fast in the Lord, beloved. 2 I implore Euodia and I implore Syntyche to be of the same mind in the Lord. 3 And I urge you also, true companion, help these women who labored with me in the gospel, with Clement also, and the rest of my fellow workers, whose names are in the Book of Life. 6 Be anxious for nothing, but in everything by prayer and supplication, with thanksgiving, let your requests be made known to God; 7 and the peace of God, which surpasses all understanding, will guard your hearts and minds through Christ Jesus." Exactly 10 years ago God healed my body of cancer and I have been cancer free ever since. Over 4 years ago when we asked Him to do the same for my mom nothing happened and she died. Did God change? Did He like me more than my mom? Was her cancer too hard to heal? Soon we won't be on this sin sick planet anymore. When we get Home and we are with God and our families again in His perfect heaven do you think we'll care that we had different journeys to get there? Before your emotions get too involved thinking about that let me ask you to think about something else. Are all prayers answered? In verses 6 and 7 above it says to pray and let all our requests be made known to God. Will He answer them all? When Jesus prayed in the garden of Gethsemane on that fateful night to be removed from the situation He was in His request appears to have been met with defeaning silence. He asked again. Nothing. He asked a third time. Nothing. Jesus made His request known to God and God responds at the darkest moment of Jesus' life with a 'heroic' NOTHING?! Later on the cross when it gets as dark as midnight in the middle of the day Jesus cries out "My God, My God why have you forsaken me?!" The literal translation is "left me in the lurch, abandoned me". Here is the Son of God who created our world, our galaxy, etc... who after becoming one of us is abandoned by His Father at the darkest moment of His life here. God showed up at His baptism on a bright sunny day. God sent angels to help him after the ordeal with Satan in the wilderness. When a storm threatened their lives on the sea of Galilee and Jesus prayed God immediately calmed the raging sea and halted the wind and rain. The list of answered prayers is long. Why then at His time of greatest need does God do absolutely nothing? One word - necessity. It was necessary. 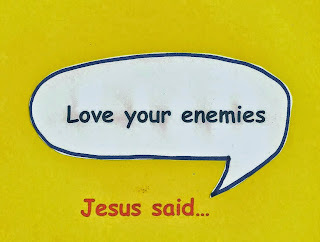 Jesus alludes to it in His prayer. "Father if it is possible let this cup pass from Me". It was not possible. There are things God can't do because the negative consequences would outweigh the positive benefit. Do you think Jesus is upset now that His Father "left Him in the lurch"? How much more upset would Jesus be now if God had whisked Him away from Gethsemane and forever aborted the salvation of humanity? Now let's think about something else. Let's imagine the world has ended with the glorious return of Jesus and we've been brought to heaven. On the journey home I am searching for my sister but can not find her. I ask an angel where she is and he with a sad face informs me she is not here. I ask why. He says she could have been but isn't. Confused I press for more information. He says "When your mom was dying God was using that situation to speak to your sister. Her illness and death from it were necessary to reach her heart. But you prayed that would not die so God removed the illness and it cost your sister her eternal life." Now we understand this is entirely hypothetical but if it were true how would I feel about God in that moment? How would my mother feel? Now imagine an opposite scenario. Jesus returns and my entire family is in heaven. We ask Jesus about my mom's death and why He never healed her like He healed me. He responds by explaining that in each case He did what was necessary and my healing as well as her death affected lives in such a way that more people including my sisters gave their lives to Him. Here is my point and Paul’s point. To a church wallowing in doubt and stress and division because of "unanswered" prayer Paul says: "Talk to God about everything with a thankful heart and enjoy the peace of knowing He won't do what you ask Him to do every time. Rather He will do what is best. Every. Time." Bad parents give their children everything they cry for. Good parents do what is best for their children even if it makes them cry. We have the best Father. Weeping will occur but joy is coming in the morning!